Basketball Success! 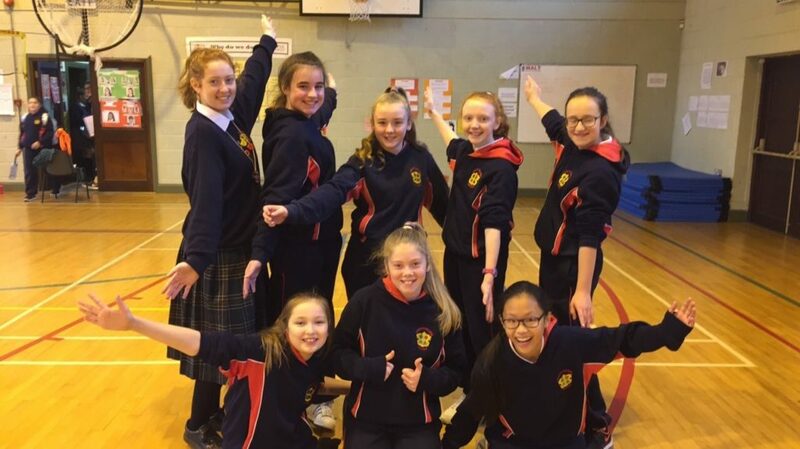 On the 23 January 2019 the Loreto Basketball League finals took place, our Cadette and Senior teams competed again Loreto Dalkey. 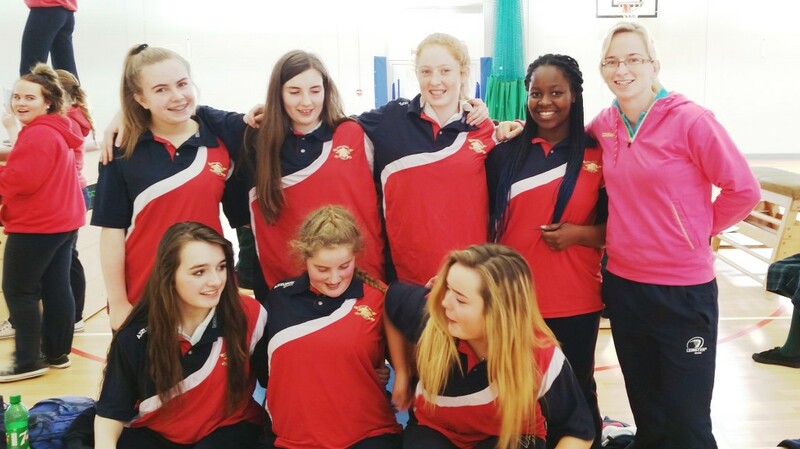 The first match was played by the Cadettes and they won with an amazing score of 34 – 23. 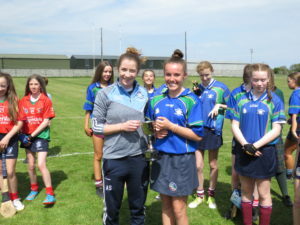 The player of the match went to Laura Kennedy who played with determination throughout the match – team captain Ciara Markey was presented with the trophy and medals – this was a great achievement and the first time we have won this trophy since 1992. The senior team played Loreto Dalkey and again it was an intense game, we last won in 2017 but had lost to Dalkey in 2018 so it was a great victory to win 39 – 32. Pearl Odiete was presented the trophy and medals. Sincere thanks to coaches Ken Black, Linn Martin and Nicola Bergin for all their help. 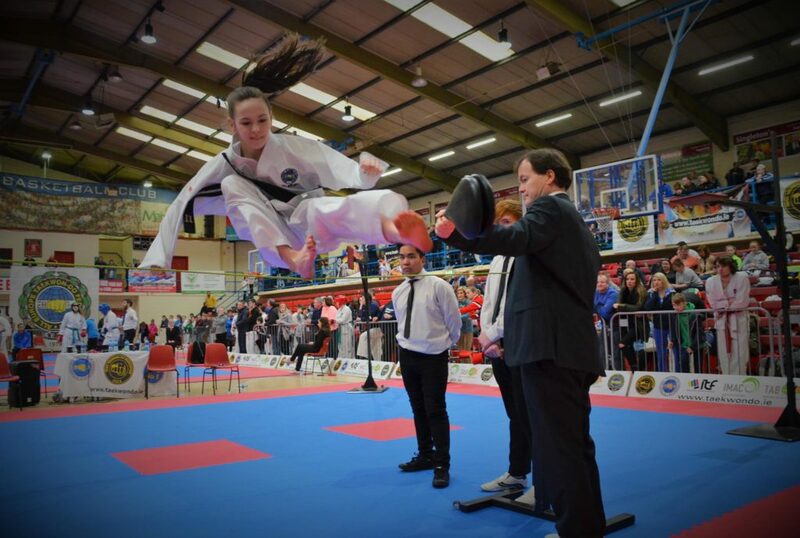 Shauna O’Driscoll took part in the Kata Championship held in Tallaght Leisure Centre in September 2018. 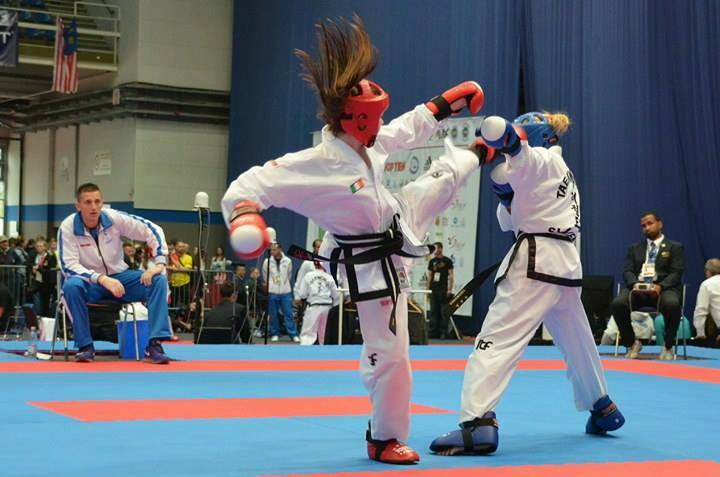 Shaua took part in two rounds before being crowned champion – well done! 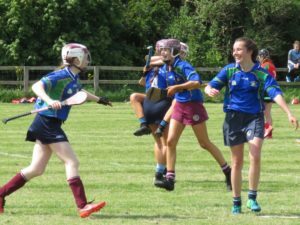 Camogie Success – History was made on 18 of May 2018, when Loreto College Swords took on neighbouring rivals Balbriggan in the Under 14 Camogie Final. 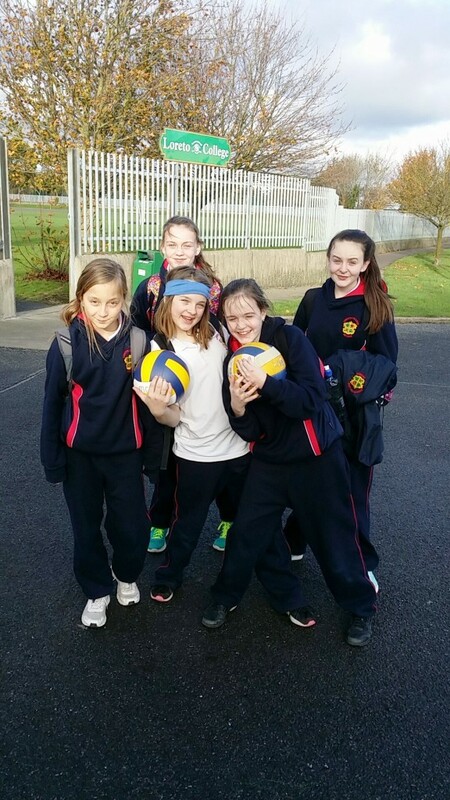 The sun shone in Rush as Loreto Swords team started strong with super scores and some amazing teamwork. The end of the first half saw Loreto Swords up by a goal. The Loreto girls did not get complacent and fought so hard even after injuries. The girls scored some super scores to secure a 5 -11 to 3-9 final scoreline. 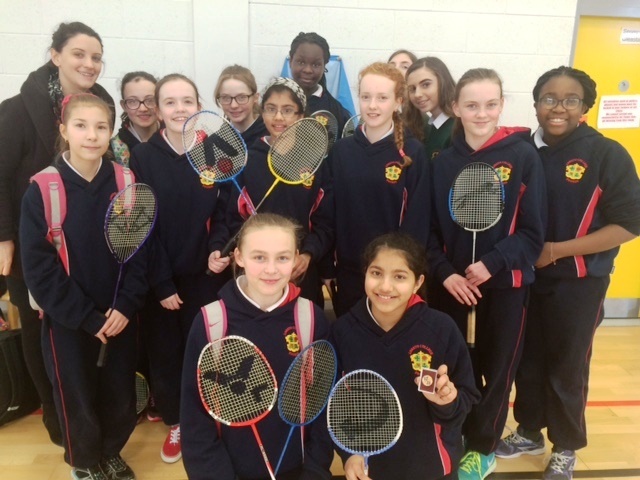 Well Done to our Under 14 Badminton team who made it through to the semi-finals this year playing Clonee on Tuesday, 20 February. 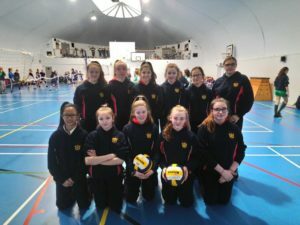 The match was very exciting to watch and the girls gave it their all despite being beaten in the end by the Clonee girls. 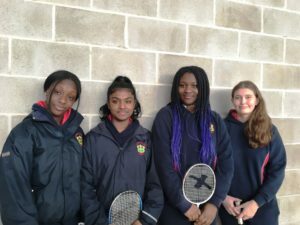 It has been a great season for the team and following on from their success this year they hope to increase the numbers playing Badminton in school next year – thanks to Mr Steele their Coach for all his hard work in preparing the girls. 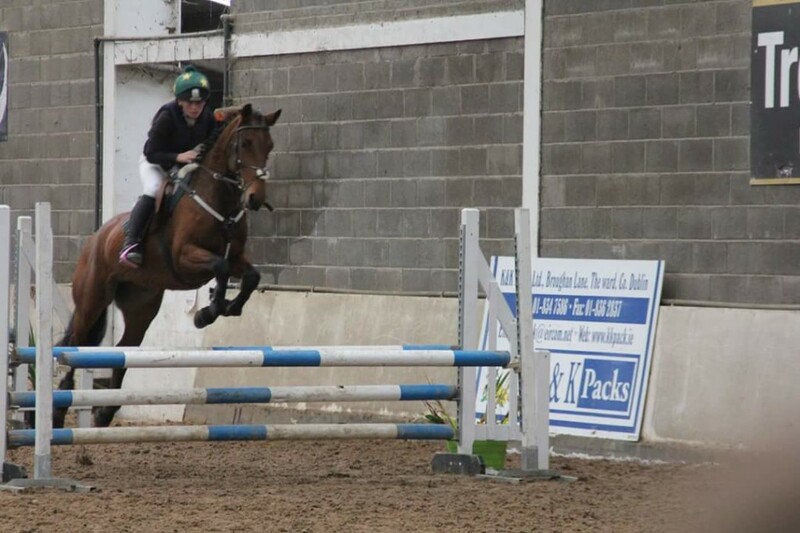 Sunday, 19 November was the 3rd show of.the Schools Team League in showjumping. The girls won on Sunday so gaining top points keeping them top of the league so far. Well Done Girls! 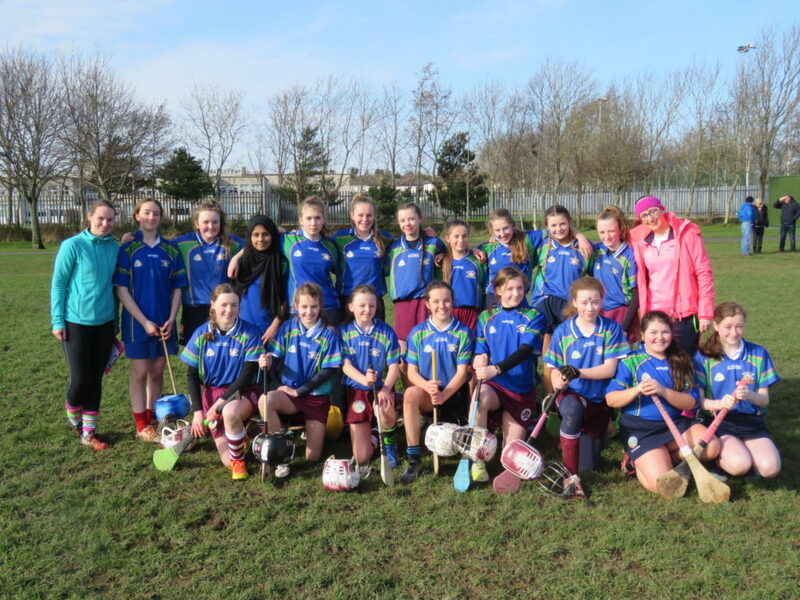 Friday the 17th of November saw the first years of Loreto College Swords venture to Kilmacud Crokes where Loreto Foxrock hosted a blitz for all Loreto schools. The first years from Swords, kitted out in their new jerseys, did the school very proud. Our first game was against Loreto Dalkey where amazing midfield performances from Sarah Power and Sarah Manning resulted in the first victory of the day Loreto Swords. 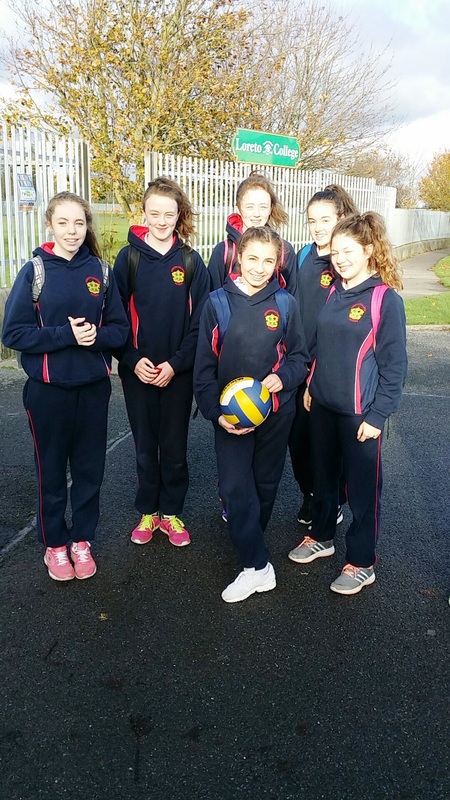 The second match was against our Loreto neighbours in Balbriggan. Impressive first time performances by Elizabet Meijer and Abi Hickey helped the side secure our second victory of the day in sunny Stillorgan. Emma Nagle made some super saves in goals to ensure a clean sheet for her second match. 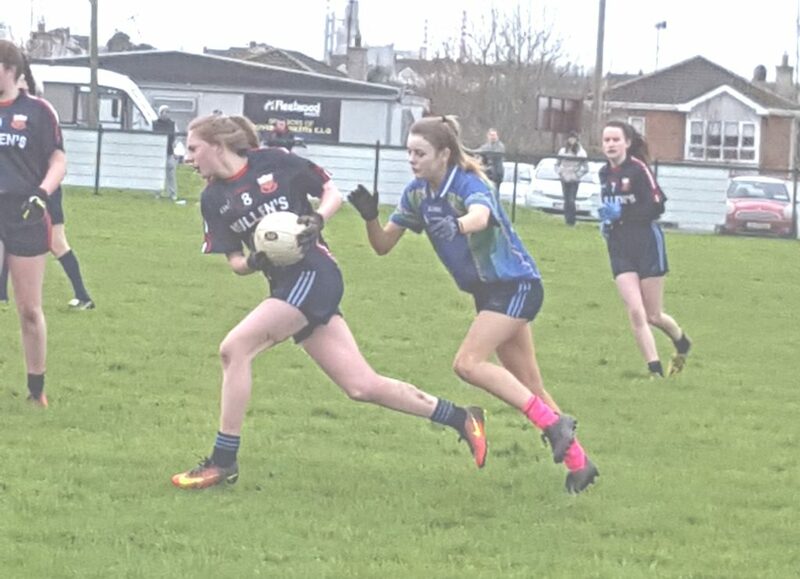 Ciara Greer Isabelle Gannon and Rachel Dowdall assisted in this solid defence with some class blocking and marking which shut down the Balbriggan attack. 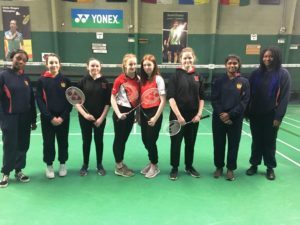 The third match of the day was against the Midland Loreto Ladies from Mullingar. Sarah Jane Crowley and Niamh Parks played a great game in defence aided by Zoe Reilly. The trio showed great teamwork and many skilful hand passes upfield to Keelagh Gargan who seemed to be everywhere on the pitch creating some super scoring opportunities. These performances saw Loreto Swords Win the third match of the day, Our final match was against Loreto on the Green. Sophie McTernan and Hannah Joyce played forward for this match with Emily Jane Fallon at number 10. These ladies showed great determination to break down a strong Green defence. 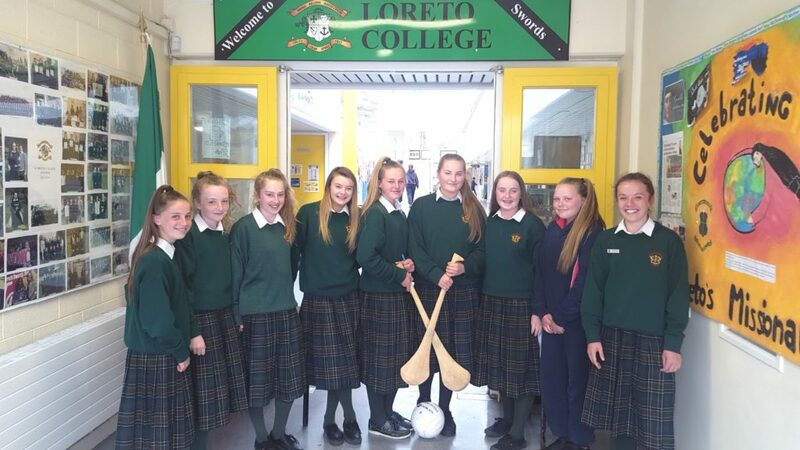 Ava Grant, Amy O’Loughan, Aoibheann Brady and Abbie Walsh creating many scoring opportunities. All students had a great day after our 4 successful matches which put us top of the leader board with 12 points. A massive thank you to the TYs and second years that assisted. Special thanks to Ms Sarah Byrne and Ms. Goucher for coaching the teams. 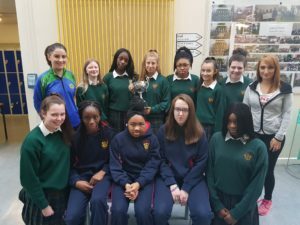 Congratulations to the girls who represent their county in gaelic games. 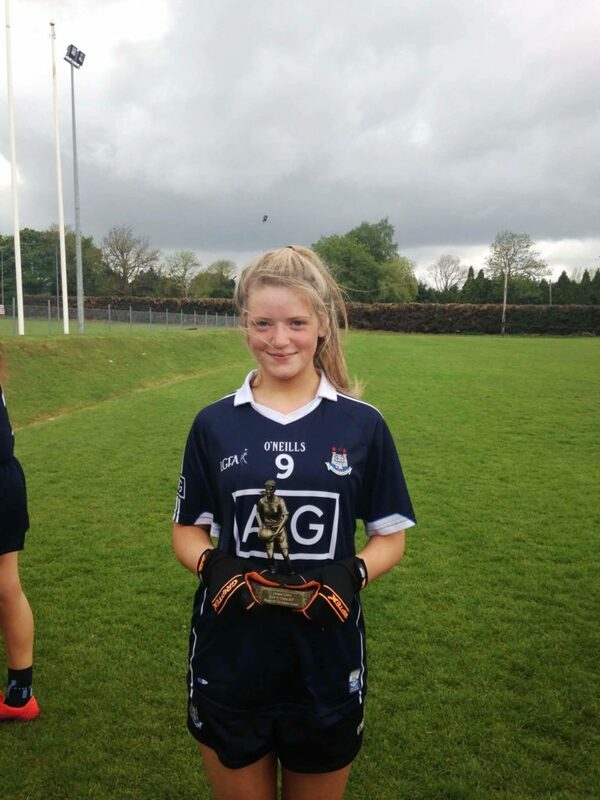 A special congratulations to Emma McCormack on winning the Leinster Final U 16 with Dublin. Well done to all the Under 16 players on their victory in the Leinster Final over Gaelcholáiste Reachrann. The game was toughly fought and Gaelcholáiste Reachrann put up a great fight. All players gave their all and did their best until the final whistle. The entire school community is proud of the girls efforts. Well done. A special word of thanks to coaches, parents, supporters and Leinster board for their support. The Under 16 Gaelic football team have reached the Leinster Final after a hard fought game against Scared Heart Drogheda. 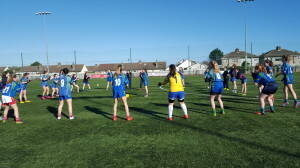 The final will be played at 1.30 p.m. on Friday the 24 March in Parnell’s all weather pitch. The school are very proud of all the girls involved and wish them the very best of luck. 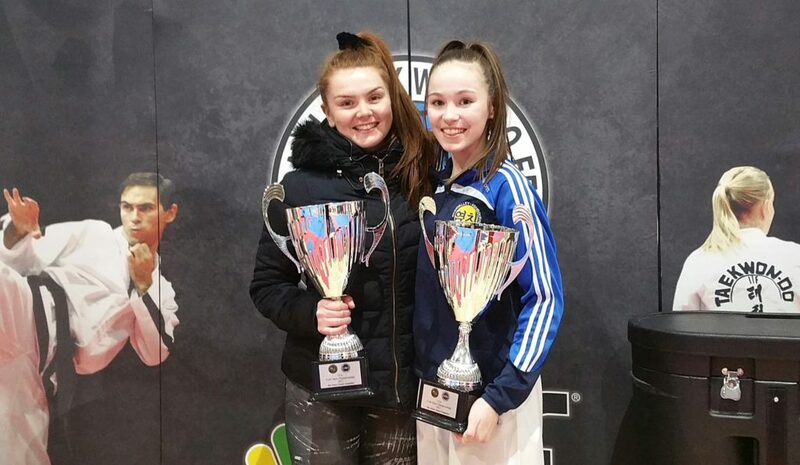 Ciara Fitzsimons of 5th Year took overall best female junior at the 2017 Cork Open Taekwon-Do Championships with Gold in Sparring, Gold in Patterns and Gold in Special Technique , Well done Ciara – a wonderful achievement! 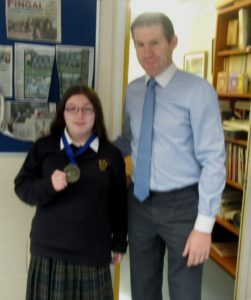 Congratulations to Ciara Fitzsimons of 5th Year! 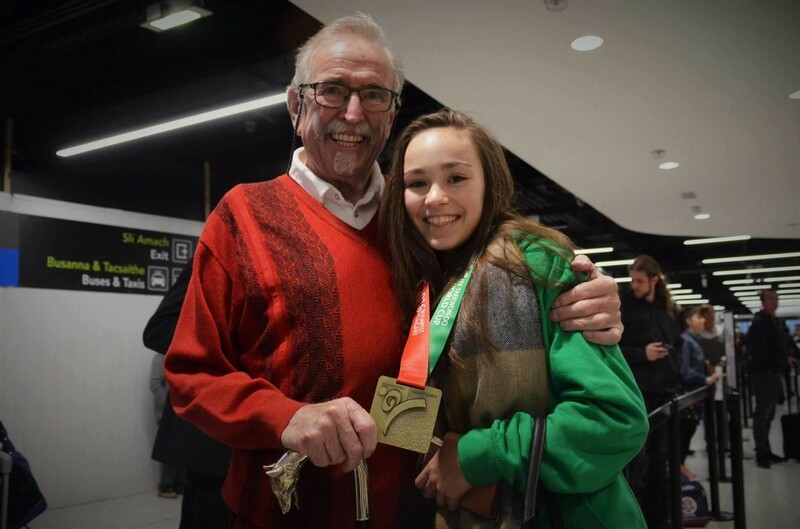 Following her recent trip to Budapest with Rivervalley Taekwon-Do Club under the guidance of her instructor Master Stephen Cooley, Ciara competed in her competition against 28 countries in her category in -50kg individual sparring. 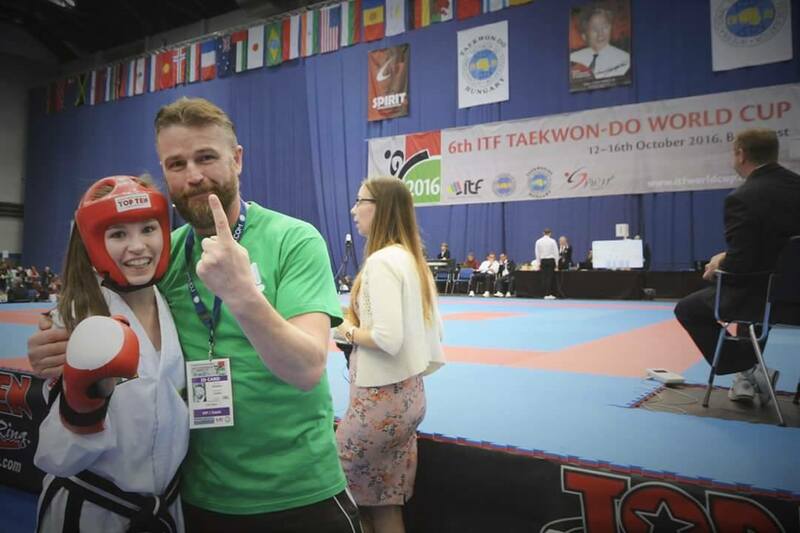 Ciara earned Gold to become the 2016 ITF World Cup champion, which is a huge accolade for herself personally and also her Club across from the School. started up a showjumping team in the school. 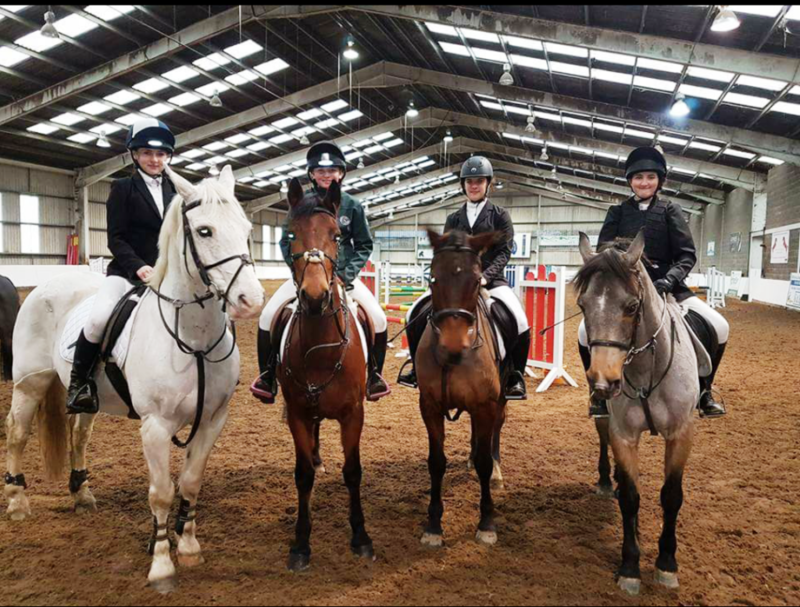 In the past the school participated in showjumping but the tradition had stopped over the years – we are delighted to see it return! 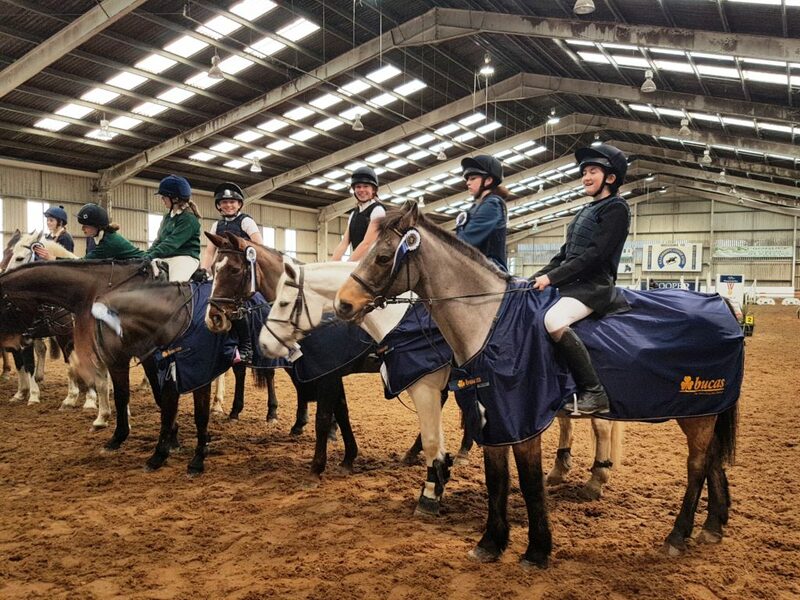 Rachel Mellett White of 1st Year carries on the tradition which her mother started back in the 1990’s when as a student herself Karen Mellett started the showjumping team! 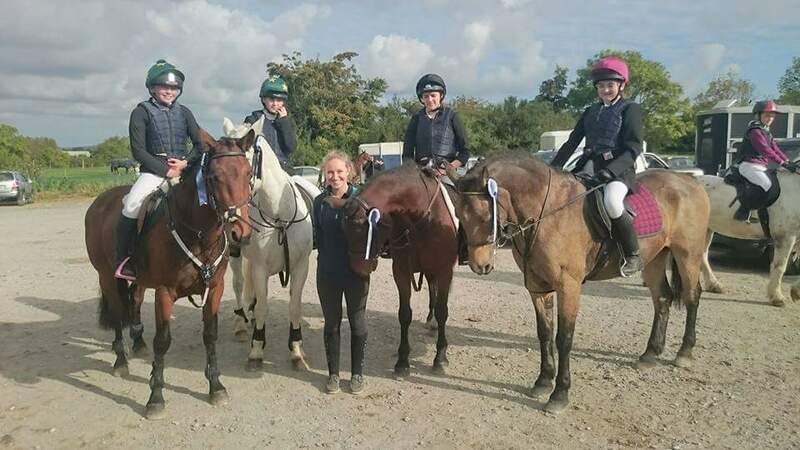 The girls took part in their first competition on Sunday, 9 October and achieved an overall 4th place – well done! Check back here for Regular news and pictures from the various Sporting events as they take place during the year! The U14 team have defeated Mount Sackville Chapelizod in their semi final today on a score line of 3-15 to 3-04. Mount Sackville played a great game and gave the Loreto side a tough challenge. The Loreto girls played a super match and came away with the victory. 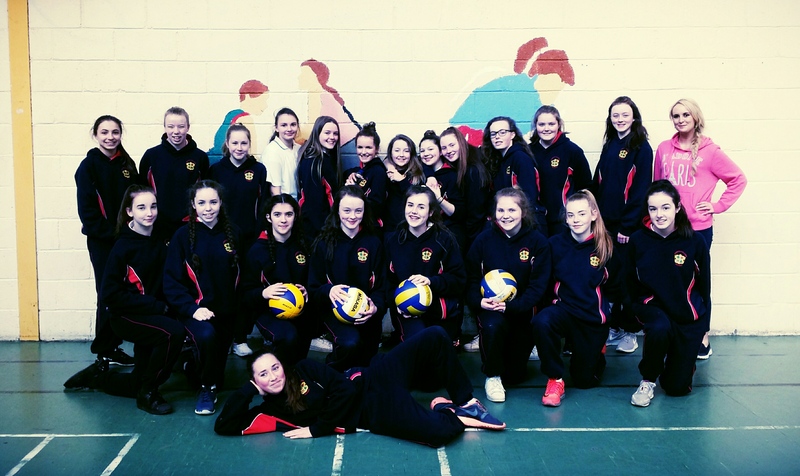 The team was captioned by Lauren McKittrick, Ellen Grant and Orla Phelan. The game saw great performances by all the girls but a particular mention has to be to made to Rachel Fagan who scored 1-07 making her woman of the match. Katie Birmingham and Orla Phelan were a dominant force in the defence. 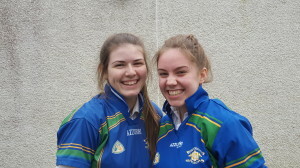 Ellen Grant and Ciara O’ Reilly were strong in the middle of the field, managing the high ball and winning possession for Loreto. In the forwards Sarah Smith was unlucky not to score a hat trick but managed two brilliant goals. Also playing forwards were Rachel Church, Lauren McKittrick, Holly McEntee and Ali Halpin. These ladies showed great teamwork that lead to several points for the Loreto side. Zoe Galligan was instrumental in the full forward position scoring 4 points from play. In defence, Orla Walzer, Grace Murray, Rachel Monahan, and Ellen Sylvester did outstanding work keeping the Mount Sackville side attack out of the Loreto half. In goals Caitlin Smyth O’Rourke made some vital saves that prevented the Mount Sackville side from getting a lead. The team did not just consist of the 15 on the field. They are supported by superb subs that are willing and eager to contribute when called upon. Among these was Ginika Nliam and Beibhin Flatley whose contribution in the second half was invaluable. 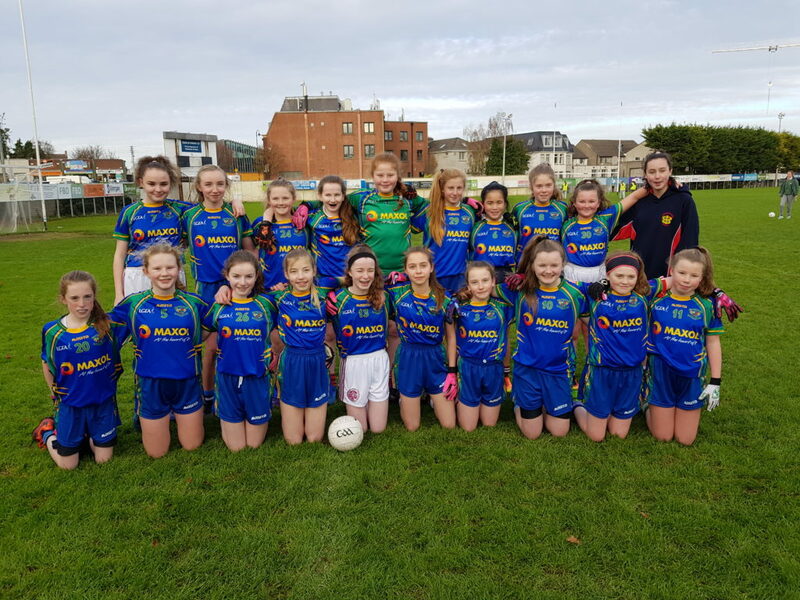 GAA Blitz – 19 April 2016 The U14 ladies Gaelic football team played and won 4 games on Tuesday the 19th of April in St Sylvesters GAA grounds in Malahide. The team are now into the Leinster quarter final which will be played next week. 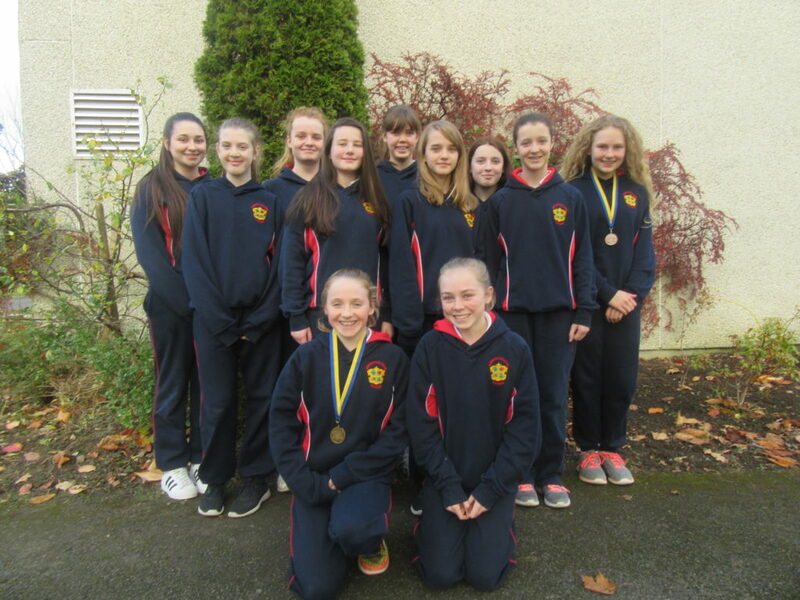 The team were led by captains, Lauren McKittrick, Orla Phelan and Ellen Grant. Semi Finals U16 C 2016. Under 16 Championship comes to a bitter end. 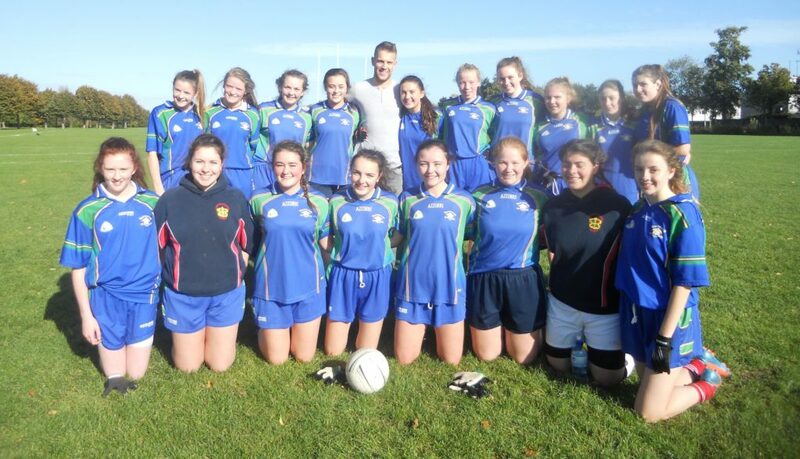 The Under 16s lost their Semi final against St. Peters Dunboyne in Parnells on the 23rd of February. The result was very disappointing but the team played a great game against a stronger Dunboyne side. This was the first time since 2007 that the team reached a Semi Final. 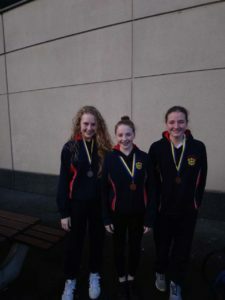 On the day the team had great performances by Shannon Murtagh and Emma McCormack. A special thanks and credit is merited to our two captains who lead the team on and off the field. Rachael Roughan and Lauren McCormack have captained the team now for 3 years. This has involved organising training, footballs, organising team layouts, making announcements, ensuring that everything was in place for match day, including putting up nets, taking down net, finding, washing and drying jerseys. Their contribution to the school Gaelic teams is very much appreciated. The school is very lucky to have a number of students who represent their county. 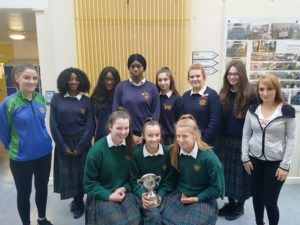 Shauna O’Shaghnessy (Camogie), Racheal Church (Camogie) Robyn Lynch (Camogie), Ellen Grant (Football) Racheal Fagan (Football and Camogie) Shannon Murtagh (Football) and Emma McCormack (Football). 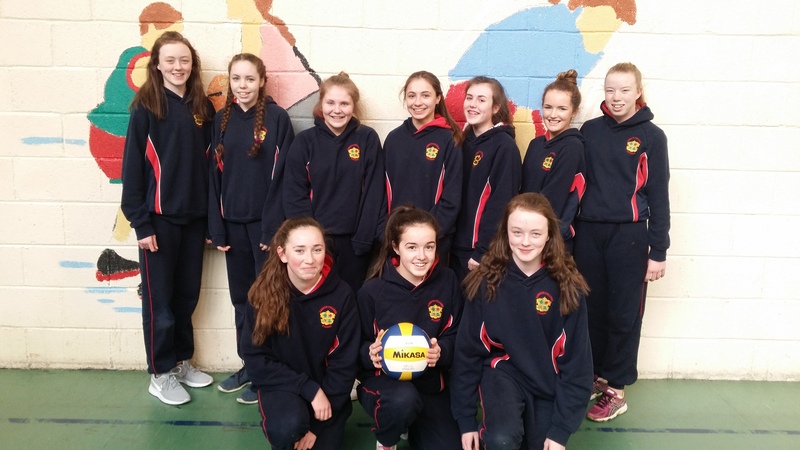 VOLLEYBALL – 2nd Year Teams took part in a tournament in Mercy College and were very successful – we have Team 1 Winners and Runners-Up in the Cup Final. 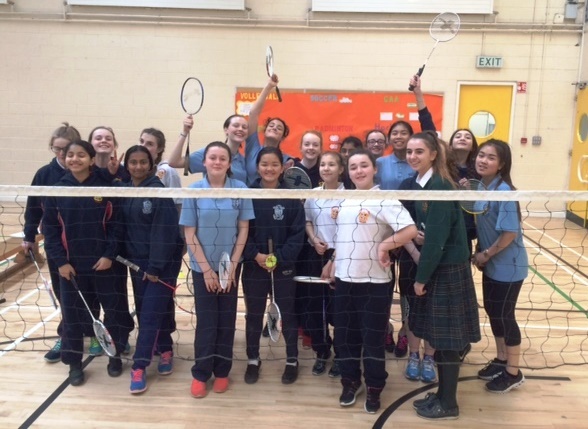 Thanks to Ms Sarah Byrne, Coach and well done girls! Playing a mixture of double and single matches. 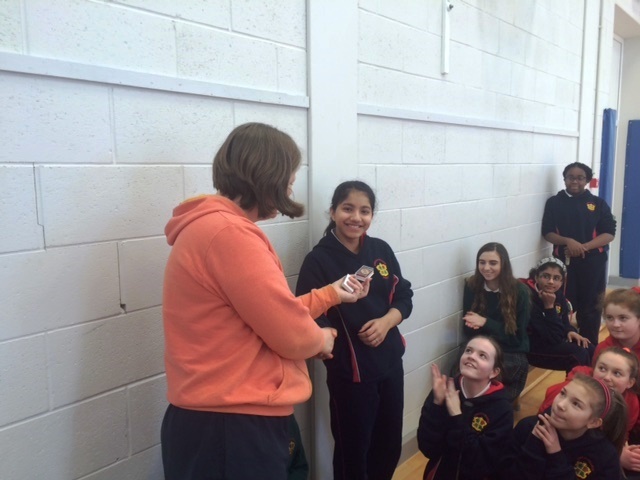 Linda Mercy Rogil was the player of tournament – well done Linda! 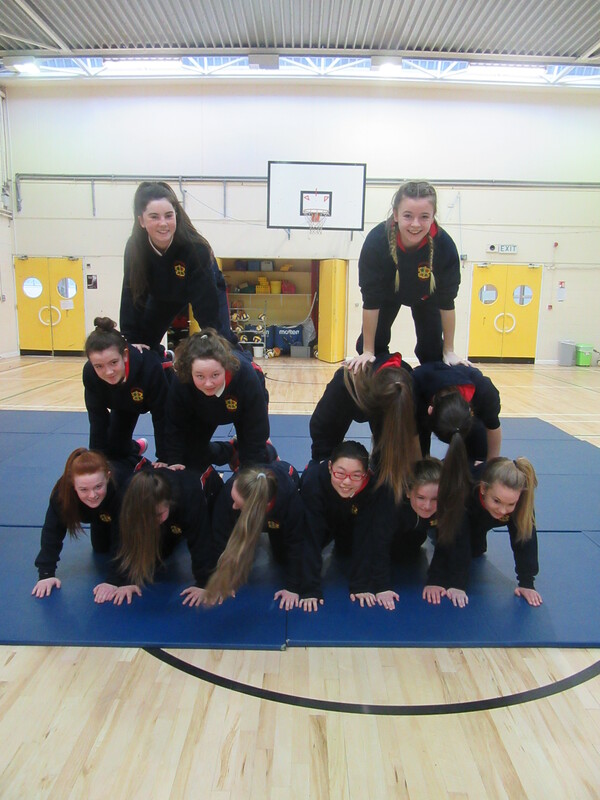 First Year Gym Display – Class 1S – as part of PE class the First Years students recently completed a gymnastics module – Click here for photos of the girls in action! 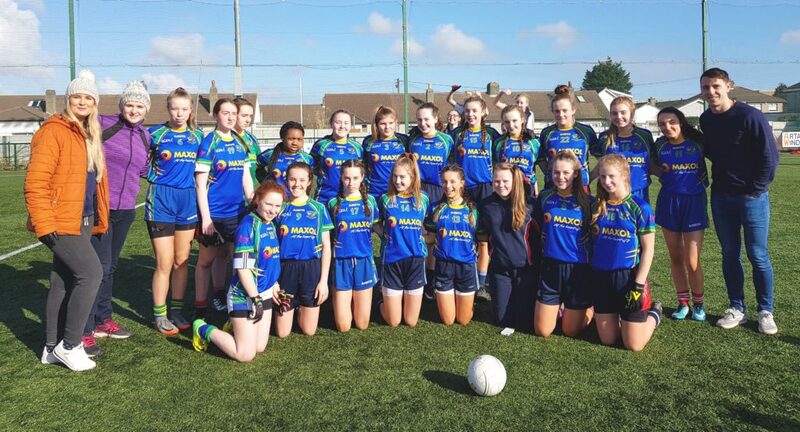 Loreto Swords Junior GAA team took on Mac Daras Community School, Templogue and emerged victorious after an incredibly hard fought match that saw an end result of 5-8 to 5-5 after extra time. 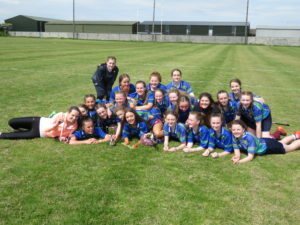 Loreto were the better team on the day but were denied scores on many occasions by the crossbar. 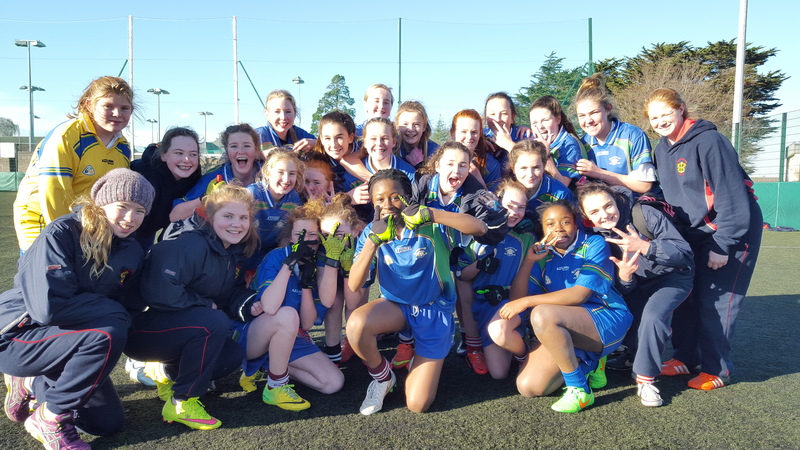 Mac Daras showed great spirit by never letting the Loreto side run away with their lead and equalised in the closing minutes of the game leading to extra time. Loreto showed great composure to win by 3 points in the end. 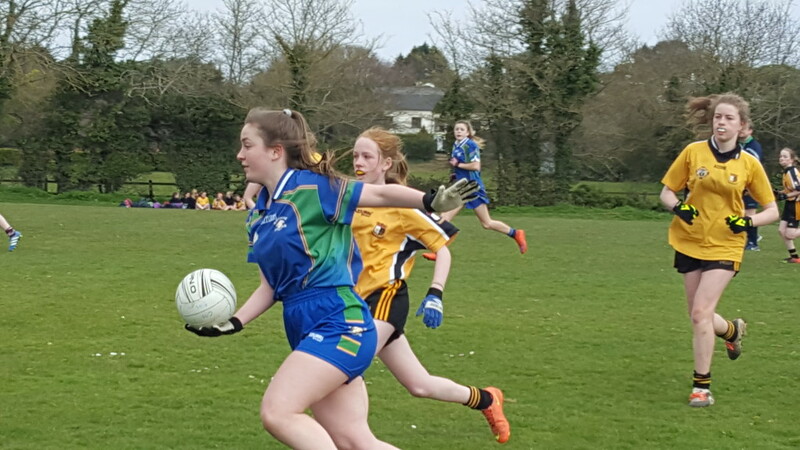 The teams efforts were led by captains Claire Finnegan and Niamh McKittrick and saw superb performances by Shannon Murtagh who seemed to be everywhere on the pitch. Ellen Grant, Lauren Campbell, Emma McCcormack, Leona Dolan all played an amazing match and contributed to the final score that sees Loreto into their First Semi Final which will take place in the new year . 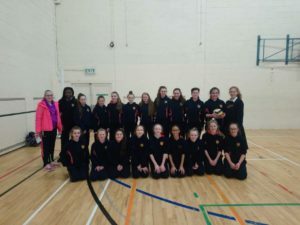 Spike Ball – two teams took part in the recent All Ireland Spikeball competition which was held on Friday, 20 November in Trinity Comprehensive school. 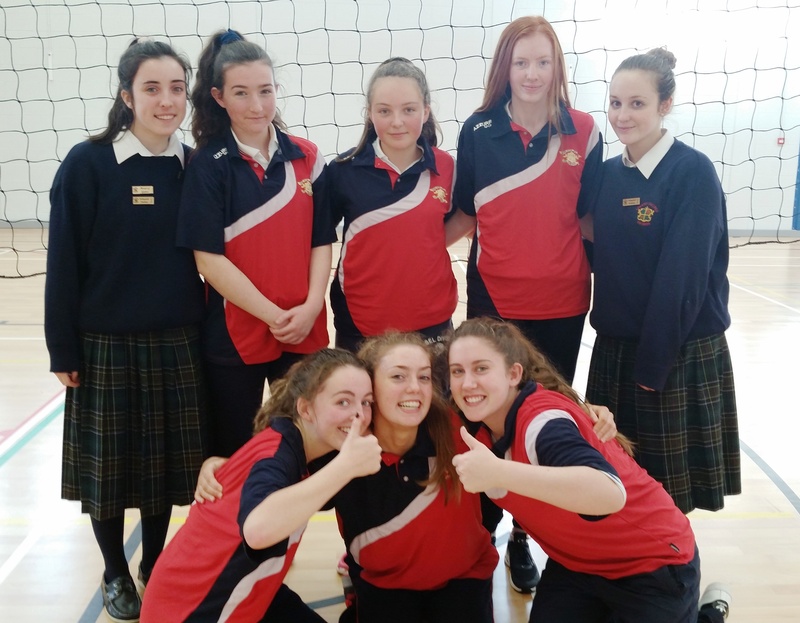 Congratulations to the 1st year spikeball team who reached the All Ireland qualifiers and well done to the 2nd year spikeball team who reached the Semi finals at the competition. 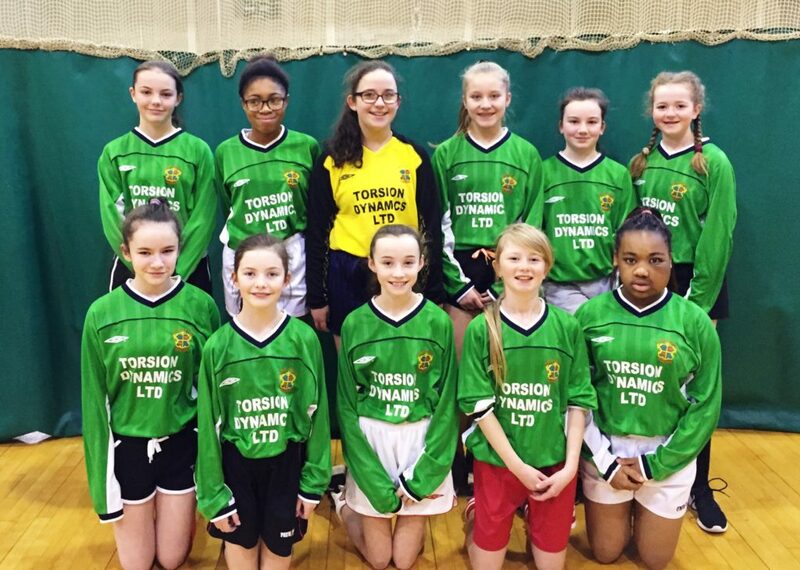 Thanks to their coach Ms Sarah Byrne. 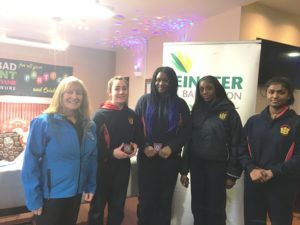 Six students took part in the Loreto College’s Swimming Gala which was held in the National Aquatic Centre on Thursday, 19 November. 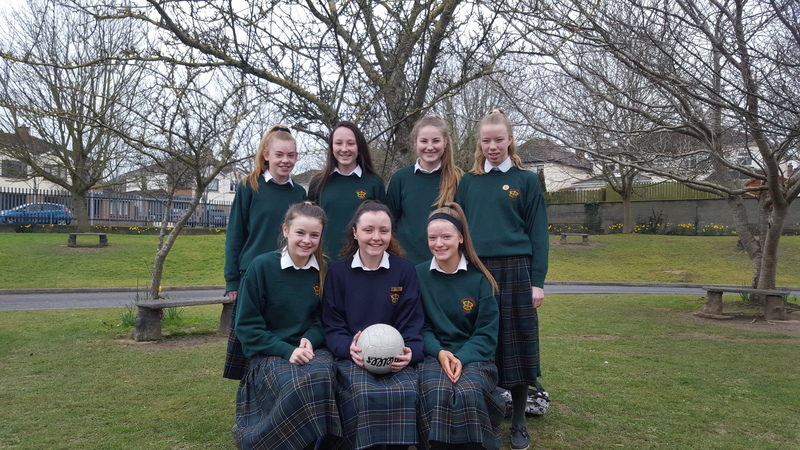 This year’s team included Lauren Brady Donegan, Namh Fulton (1st Years), Rachel Whelan (5th Year), and Sinead McCrohan, Ellen O’Reilly, Catriona Finley (6th Years). 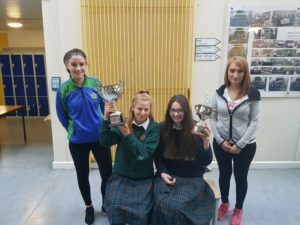 It was the first time ever for Lauren and Niamh to compete in a swim competition and for Sinead, Ellen and Catriona it was their last Loreto Gala. The team had great success with Caitriona winning gold in the Butterfly event and Rachel and Niamh both winning bronze in the backstroke and freestyle respectively. 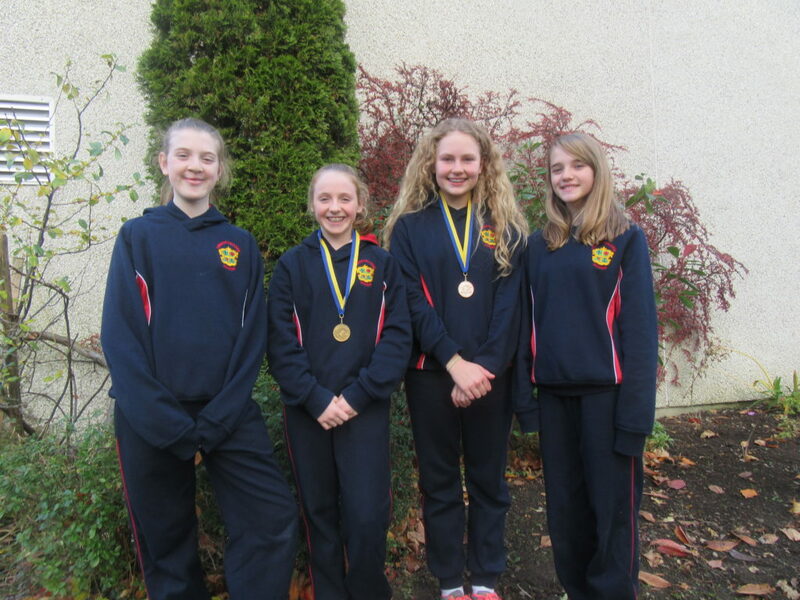 The over 16 freestyle relay team of Rachel, Sinead, Ellen and Caitriona won bronze in a tight competition – well done to all the girls! 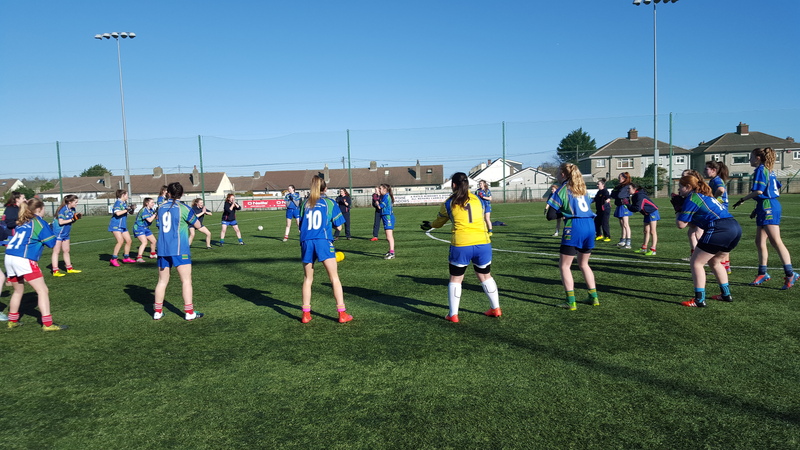 The first year gaelic team competed in a blitz with other Loreto schools from around the country today in Stillorgan’s Killmacud Croke club grounds. 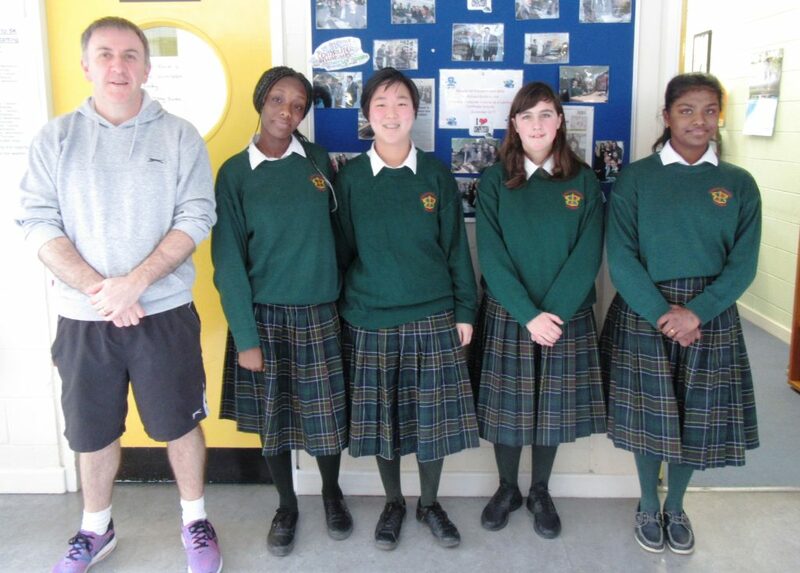 The blitz was hosted by Loreto Foxrock. Loreto Swords 0-9 got the day off to a winning start against Loreto Kilkenny 0-3. 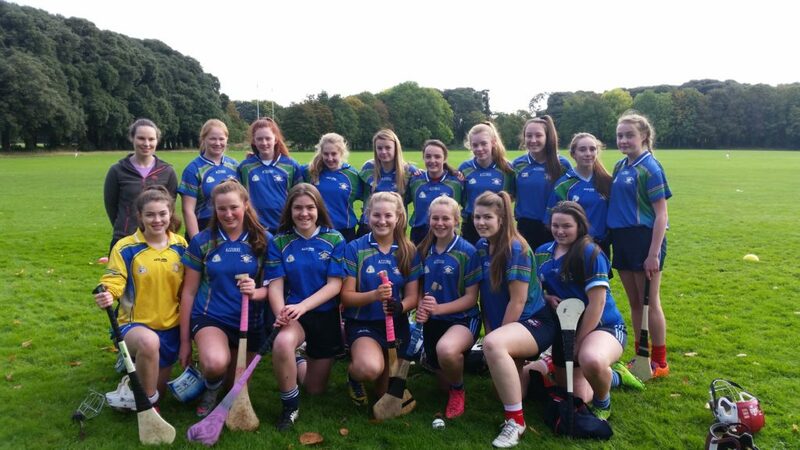 Then the team of eager first years played a super match against Crumlin winning by 8-4 to 2-0. Swords then took on hosts Foxrock in a fiercely fought match that saw Loreto Swords steal a win in the closing minutes. 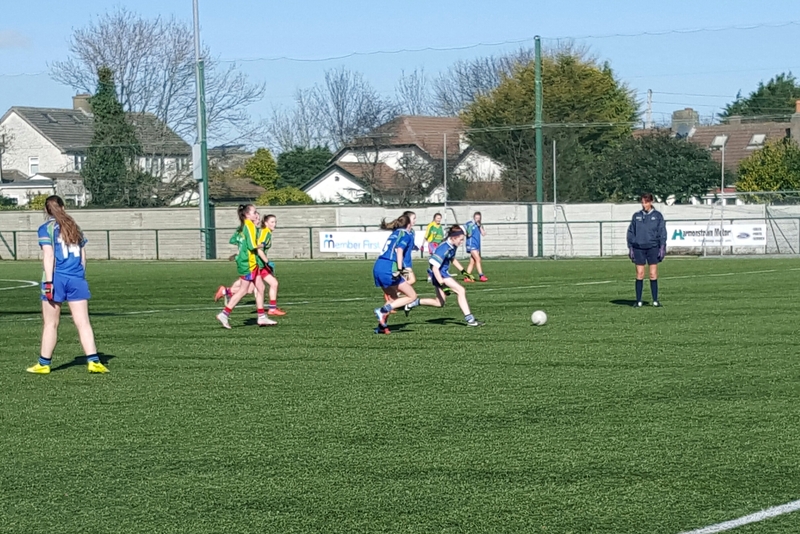 The final match of the day saw Loreto Swords take on Loreto Mullingar. The Swords team winning all matches in their Blitz. Rachel Fagan made a superb contribution to all games, which earned her woman of the match. She was joined in mid field by Sarah Spain who played brilliant football. Great scores from Blaithnaid O’Scanaill, Ginika Nliam, Rachel Church and Molly Howard contributed to the score board. Holly McEntee was outstanding in goals. 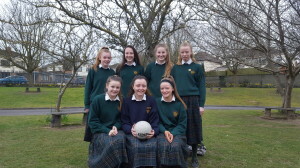 Well done to their captains Lauren McKittrick, Ellen Grant, Orla Phelan and Lauren Campbell. 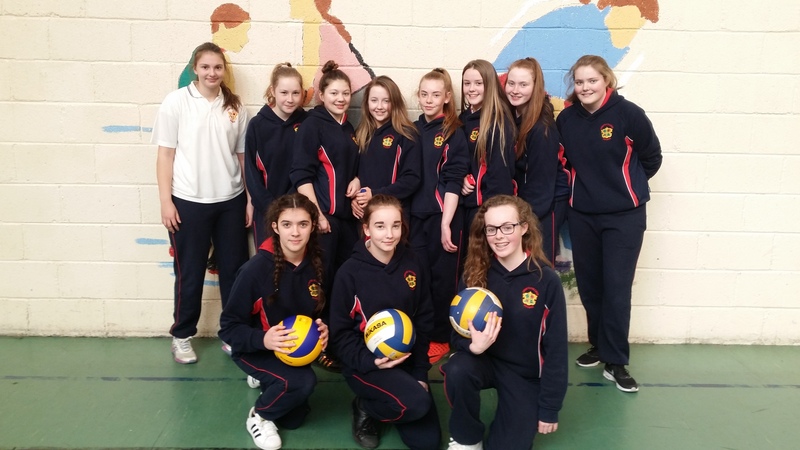 Volleyball – well done to our Cadette Volleyball teams who played a Blitz in Loreto Balbriggan. Team One won the blitz with team two finishing 4th – well done to all involved! 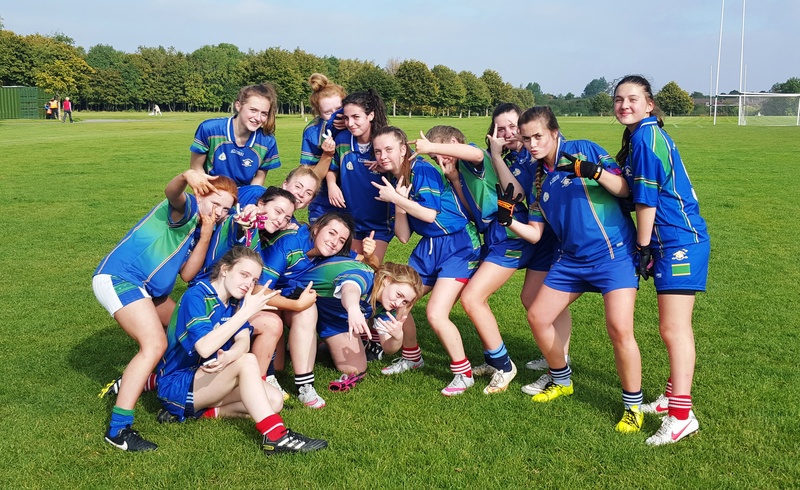 Under 16 Gaelic match – Loreto College Swords fielded an impressive team last Tuesday as they took on neighbours St.Finian’s Community College Swords. Loreto got off to a great opening first half with many outstanding scores, including scores from Lauryn Campbell and Claire Finnegan. The team was led by Captain Lauren McCormack, who played a super game in the forwards, ably assisted by younger sister Emma. The second half offered many under 14 players an opportunity to showcase their talents with Amy Rickard, Lauren McKittrick and Deborah Ezumezu contributing to the scoreboard. 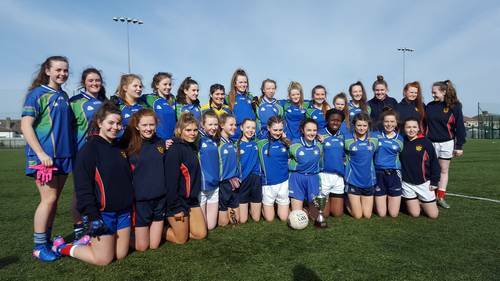 The experience of Shannon Murtagh, Leona Dolan, Niamh McKittrick and Eimear Rainey proved too much for the St. Finian’s side as Loreto capitalised scoring chances. Sophie O’Brien had a terrific match in goals, keeping a clean sheet until the final whistle. Rachael Roughan was selector for the match and played a vital rule in the team’s success.